I got an e-mail this morning from a college classmate friend warning of the circulation of fake Saudi Riyals. It is alarming especially that a Kababayan, who claims innocence, was accused of distributing fake bills. Mga Kabayan, Kung di man tayo makatulong,,,,ay mag-ingat n lamang tayo s pagtanggap ng mga sukli lalo na ang kumakalat n pekeng 10SR. Para di natin danasin ang ganito... At kyo n rin bahala magbigay babala s mga kapwa pinoy Maraming salamat po. MANILA, Philippines— A Filipino worker in Saudi Arabiawho has been accused of distributing counterfeit Saudi currency is seeking legal assistance from the Department of Foreign Affairs (DFA), a migrant workers’ group said on Wednesday. Migrante-Middle East said Ryan Torres Anievas, a 29-year-old administrative clerk/secretary at Petro Rabigh Company Project in the industrial city of Rabigh in western Saudi Arabia, sought the group's help regarding his case. John Leonard Monterona, Migrante-ME coordinator, said Anievas is being tried in the Jeddah General Court for distributing five of 10 fake Saudi Riyal bills. He asked the DFA to act immediately on the case by providing a lawyer. "Anievas needs a lawyer and a translator without any delay as the court is set to hear his case again on February 17," Monterona said. "Huwag ng antayin pa ng gobyerno ni Arroyo na makulong si OFW Ryan Anievas. We certainly don’t want him to be another Jennifer Bedoya who was hanged due to the failure of the Arroyo government to provide legal assistance to him during the trial of his case," he said. Bedoya, a.k.a. Venancio Ladion, was beheaded in Jeddah on Oct. 14, 2008 for murder. Migrante accused DFA officials of lying to the Bedoya family about the real status of the case and gave them false promises after it asked the family not to reveal the case to the media. Migrante claimed Bedoya did not receive any legal assistance during his trial. “The family was later outraged to find out that Jennifer did not receive legal assistance, and was only provided an interpreter and not a lawyer in the early stages of the trial," Migrante said. Consul General Ezzedin Tago, the Philippine envoy in Jeddah, later admitted the shortcoming, but claimed Bedoya was given legal assistance when he appealed the case. Migrante said the Saudi Investigation authority accused Anievas of distributing a fake currency of 5 notes of 10 Saudi Riyal bills when he bought goods at a store. 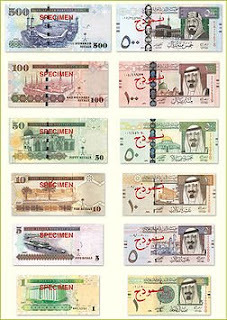 Investigation by the Saudi Finance Ministry confirmed the currency was counterfeit. Also, there were document from Saudi Aramco Security Authority that the accuse paid SR50 from SR10 bills when he bought from the store. Anievas, in a letter, a copy of which was furnished GMAnews. TV, has already sought the assistance of the Philippine Consulate Office in Jeddah to act on his case. In a letter to Consul General Ezzadin Tago, Anievas said, " I am writing you to ask your kind help if you could possibly provide me a legal assistance regarding my case. I was accused about fake money which I unintentionally used in buying my food. The forged money was given to me as a change when I bought a present for my wife. I didn't notice that I was given a fake 5 pieces of 10 riyal bills (amounting to 50 SR) from my 96-riyal change from the "Itnayn-Itnayn Store" in Rabigh town." "I'm really begging you to please protect me with this accusation for my wife and the future of my family is at risk. I am just a victim here. Fifty riyals is a very small amount to put my wife, my son and myself into harm (my family is leaving with me here in Rabigh). Aside from this, I still have my parents in the Philippines who need my support," Anievas said. Here are some of the links which I checked out that you may find helpful so you will not be the next victim of this modus oprandi. nakakatakot. meron na pala ganyan sa saudi. Hehe!